Columbia River Knife & Tool's new Eat'N Tool is the brainchild of New York City designer Liong Mah. At first glance it looks like the familiar spoon/fork "spork" combination, but Liong has used his ingenuity and computer-aided design skills to create a lightweight, high-tech outdoor tool. Yes, there is an ergonomic spoon, and a short-tined fork. But in addition, there's a handy bottle opener on one side. The right side of the handle is ground to provide an emergency screwdriver blade, which will also work as a pry for opening canisters. The large central hole is not only designed for finger gripping, but also keeps the Eat'N Tool weight down. Three metric wrench reliefs (10 mm, 8 mm, 6 mm) are useful for emergency repairs, and result in a tool weight of just 1.5 ounces (43 g). For easy snap-on carry on D-rings or loops on clothing and packs, there is a carry carabineer (non-weight-bearing) included. Great little tool. Doesn't weigh a thing, clips on, or in, almost anywhere. I bought this for my Go-bag. One of the best purchases I have made for it. This is a sturdy eating utensil w/ many different functions. Anyone starting or already has a bug out bag I recommend getting this. This is a very good tool to have. Takes up little room. Solid construction--will last forever. 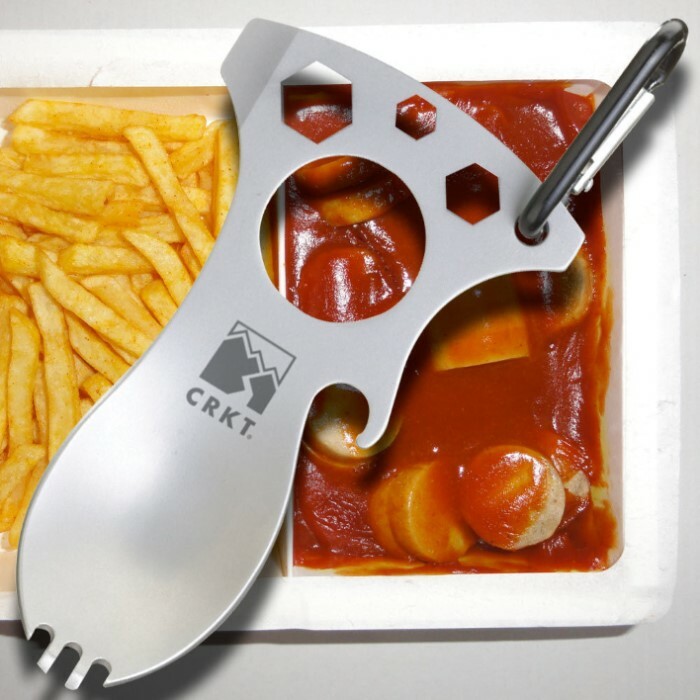 Must have multi-use eating utensil for the outdoors. 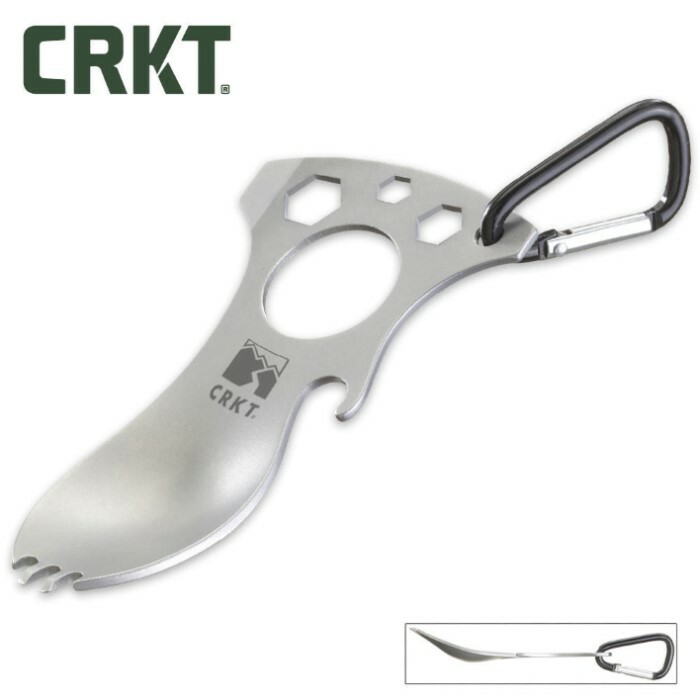 If you are a Hunter or a Camper, this is a great eating utensil for the outdoors. Light weight, small, you can put it in your shirt pocket or backpack for easy use. I love this product!